Do you know where it'll grow? A different kind of French fry? And, what about al gratin? ... just eat 'em up... before they go rotten. For there's no reason to crave a toxin. Eat it here... or get it to go. The most significant problem with potatoes is the skin. One reason is the use of commercial pesticides. The residue is difficult to remove. Another reason is the natural pesticides that a potato makes to try to protect itself. As the potato matures and starts to develop eyes, the amount of chemical increases. Consuming these potatoes may result in headaches or other health related side-effects. In order to avoid these problems, grow your own potatoes and eat them as soon as harvested. for those facing starving to death... the potato would likely be... #2? ... and #1 fruit... tomato? The humble potato has recently, from a culinary perspective, become very trendy. I'm delighted to report that this renewed interest has encouraged a number of horticultural distributors to produce new handy attractive seed potato packs for the retail market. With a little effort you could be enjoying the fresh taste of your own home grown spuds this summer even if you have the tiniest of gardens! You can grow and taste varieties that you will not find in the shops. Originated in the highlands of South America where it has been consumed for more than 8,000 years. The Spanish brought potatoes back to plant in Europe in the late 16th century mostly as a botanical curiosity. By the 19th century it had spread throughout Europe because the potato provided cheap and abundant food for the workers of the industrial revolution. Interestingly, Ireland was one of the first European countries to really adopt the potato and it became an established crop by the early 17th century. Whereas it took another 100 years before it became established in Britain. The rapidly expanding agrarian population became increasingly dependent on the potato. There was a very severe famine in 1740-41 and 14 full or partial potato famines between 1816 and 1842, mostly weather related. The great famine of 1845 - 1847 was due to potato blight and devastated the country. The population fell from 8.2m in 1840 to 4.4m in 1911. Is the 4th most important food crop in the world. Annual world production is approaching 300 million metric tonnes. More than one third of world production now comes from developing countries, whereas in the early 1960's this represented a mere 11%. Buy your seed potatoes anytime from now until February. If it is your first time growing potatoes buy a 'first early' variety such as Sharpe's Express or Duke of York. 'First Early' varieties grown outdoors will be ready for harvesting by next June and are less likely to get blight. If you are short of space you can plant potatoes in containers. Choose a large container e.g. barrel. Containers could be planted as early as February indoors and subsequently moved outside when the risk of hard frost has passed. A novel idea is to use car tyres. Place a tyre in the desired position and fill with compost. Plant seed. Place another tyre on the base tyre and repeat. You can safely build a 5 to 6 story tower. When the tower is complete cut 4 small holes in each tyre and the sprouts will find and grow out of these gaps. The key to success of growing potatoes outdoors is to prepare the ground well. Choose a sunny site. Till the soil and add fertilizer. 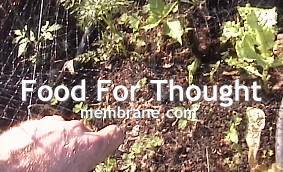 The best fertilizer is well-rotted farmyard manure (available in garden centres). Plant seed around St. Patrick's Day. The potatoes should be sown 12 to 15 inches apart in the drills should be about 24"apart. When the shoots grow to about 9" high you should use earth from between the drills and pile loose soil against the stems to produce a ridge of about 6 inches high. This will prevent many of the uppermost potatoes turning green before harvesting. Make sure to water potatoes in periods of dry weather. Kerr's Pink great for making chips and wedges. Did you know that growing a crop of potatoes is a great way to keep a plot relatively weed free and that the roots of the potato break up clay soil into a wonderfully fine texture. Saves a lot of backache! Our food ranking system qualified potatoes as a very good source of vitamin B6, a good source of the vitamins C, B3 (niacin), and B5 (pantothenic acid); dietary fiber; and the minerals copper, potassium, iron and magnesium. If only for its high concentration of vitamin B6--a cup of baked potato contains 32.3% of the daily value for this important nutrient--the potato earns high marks as a health-promoting food. B6 is also necessary for the breakdown of glycogen, the form in which sugar is stored in our muscle cells and liver, so this vitamin is a key player in athletic performance and endurance. A single baked potato will also provide you with 14.7% of the daily value for fiber, but remember the fiber in potatoes is mostly in their skin. If you want the cholesterol-lowering, colon cancer preventing, and bowel supportive effects of fiber, be sure to eat the potato's flavorful skin as well as its creamy center. There are about 100 varieties of edible potatoes. They range in size, shape, color, starch content and flavor. They are often classified as either mature potatoes (the large potatoes that we are generally familiar with) and new potatoes (those that are harvested before maturity and are of a much smaller size). Some of the popular varieties of mature potatoes include the Russet Burbank, the White Rose and the Katahdin, while the Red LeSoda and Red Pontiac are two types of new potatoes. There are also delicate fingerling varieties available which, as their name suggests, are finger-shaped. The potato was thought to have been first brought to the United States in the early 18th century by Irish immigrants who settled in New England. People in this country were slow to adopt the "Irish potato" and large scale cultivation of potatoes did not occur in the U.S. until the 19th century. While potatoes are often conveniently packaged in a plastic bag, it is oftentimes better to buy them individually from a bulk display. Not only will this allow you to better inspect the potatoes for signs of decay or damage, but many times, the plastic bags are not perforated and cause a build up of moisture that can negatively affect the potatoes. The ideal way to store potatoes is in a dark, dry place between 45�F to 50�F as higher temperatures, even room temperature, will cause the potatoes to sprout and dehydrate prematurely. While most people do not have root cellars that provide this type of environment, to maximize the potato's quality and storage, you should aim to find a place as close as possible to these conditions. Storing them in a cool, dark closet or basement may be suitable alternatives. Potatoes should definitely not be exposed to sunlight as this can cause the development of the toxic alkaloid solanine to form. Potatoes should not be stored in the refrigerator, as their starch content will turn to sugar giving them an undesirable taste. In addition, do not store potatoes near onions, as the gases that they each emit will cause the degradation of one another. Wherever you store them, they should be kept in a burlap or paper bag. They should only be stored in a plastic bag if it is perforated to allow for moisture to escape. Potatoes should be cleaned and cut right before cooking in order to avoid the discoloration that occurs with exposure to air. If you cannot cook them immediately after cutting, place them in a bowl of cold water to which you have added a little bit of lemon juice, as this will prevent their flesh from darkening and will also help to maintain its shape during cooking. As potatoes are also sensitive to certain metals that may cause them to discolor, avoid cooking them in iron or aluminum pots or using a carbon steel knife to cut them. Quarter medium-sized potatoes and brush with olive oil before placing on the barbeque and grilling. For healthy "french fries," cut potatoes into the desired stick-shapes, toss with a little olive oil, place on a cookie sheet, and bake at 350� for 20 minutes, then turn with a spatula and bake another 15-20 minutes. Season with your favorite spices and enjoy. Brush new potatoes with olive oil, sprinkle fresh rosemary leaves on top and bake on medium-high oven until cooked. Pur�e roasted garlic, cooked potatoes and olive oil together to make delicious garlic mashed potatoes. Season to taste. If you prefer to make mashed potatoes without the skin, reserve the skin for this quick serving idea. Brush some olive oil on the skin and then season it with your favorite herbs and spices. Broil in the oven until toasty and then serve as is or garnished with your favorite toppings. Layer sliced baked potatoes, black beans, cubed tomatoes and onions and shredded cheese for a quick and easy lunch or dinner meal. Potatoes are a featured ingredient in the classic dish, salad nicoise, that pairs new potatoes with chunks of tunafish and steamed green beans dressed lightly with oil and vinegar. Even though pesticides are present in food at very small trace levels, their negative impact on health is well documented. The liver's ability to process other toxins, the cells' ability to produce energy, and the nerves' ability to send messages can all be compromised by pesticide exposure. Individuals wanting to avoid these health risks may want to avoid consumption of potatoes unless grown organically, since potatoes are among the 20 foods on which pesticide residues have been most frequently found. Thorough scrubbing of the skins of non-organic potatoes with a natural bristle vegetable brush and cool running water will help remove some, but not all of the pesticide residues. Potatoes are a very good source of vitamin B6. They are also a good source of vitamin C, niacin, pantothenic acid and dietary fiber. In addition, potatoes are a good source of many minerals including copper, potassium, iron and magnesium. oEnsminger AH, Ensminger, ME, Kondale JE, Robson JRK. Foods & Nutriton Encyclopedia. Pegus Press, Clovis, California. oEnsminger AH, Esminger M. K. J. e. al. Food for Health: A Nutrition Encyclopedia. Clovis, California: Pegus Press; 1986. oFortin, Francois, Editorial Director. The Visual Foods Encyclopedia. Macmillan, New York. oWood, Rebecca. The Whole Foods Encyclopedia. New York, NY: Prentice-Hall Press; 1988.